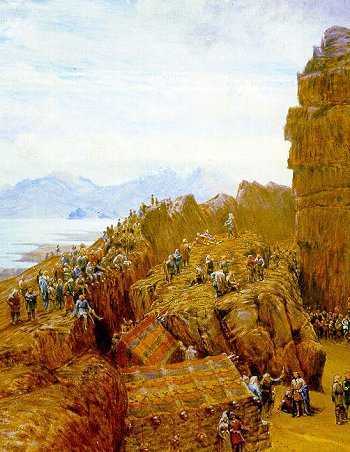 In times past, Viking tribal leaders would meet at a gathering called an Althing. At some point important Matters of State would be addressed, but Norsemen being Norsemen, you can be certain that drinking, carousing and fighting was high on their agenda too. To this day, at the centre of Icelandic politics is the Althingi, the name for their parliament. I imagine it to be somewhat more civilised these days, but the tradition of mixing beer, celebration and politics seems to be fundamentally part of Icelandic culture, which is why Fanfest makes so much sense. I suspect every Fanfest attendee has some kind of an agenda; be it to share ideas, build support, make new contacts or just drink beer with strangers. For every kind of EVE fan, there is a presentation to behold, a roundtable to participate in or a developer on their “must meet” list. And of course there is also the drinking and celebration too. My attendance this year represents a strange confluence of agendas and aspirations. Officially I am flying the flag for Guild Launch as their new EVE Online correspondent, so I have to acclimatise myself to the ways of journalism. Fortunately, I have an ally in fellow Fanfest attendee Petter Mårtensson; AFK corpmate, podcaster and luckily for me, seasoned journalist. He’ll know how this stuff works. My Guild Launch focus will be very much on the community side of EVE Online. More than anything, I intend to soak up the atmosphere and gain a greater understanding of EVE Online society. I am very aware of the demographic diversity of EVE Online’s player base. I’m not certain that Fanfest attendees will be a proportional representation of every flavour of EVE player, but it’s surely the best place to start. My experience last year taught me that for every howling crowd of drunken alliance zealots there is a bewildered and reserved figure with a different story. I want to meet them all and learn more about every side. However, I won’t just be wearing my Guild Launch hat. I have my personal crusade too. I intend to find out what the future holds for the lore and backstory of EVE, especially with regard to the Arek’Jaalan Project in the absence of its champion, the newly-wed and recently departed CCP Dropbear. In particular, I would like to find out if there has been any recordable subscriber growth as a result of the Arek’Jalaan project or associated initiatives. I firmly believe that Arek’Jaalan represents an aspect of EVE that is undersupported and underdeveloped at present and I would like to see more player/developer interaction along these lines. The ultimate purpose of the Tech4 News project was to support the gameplay style that Arek’Jaalan represents, providing a gateway to a deeper, more thoughtful lore-driven EVE experience. If storyline-driven content is something that CCP has little interest in encouraging, then I have spent the last six months seriously barking up the wrong tree. However, with development focus reported to be on Faction Warfare and a surprising player outcry against changing the names of modules, I suspect that is not the case. But mainly my intention is to meet and enjoy the company of good people and to geek out over the future of internet spaceships (and space-soldiers). I hope to put faces to names and have a drink with my fellow bloggers, EVE players and hopefully some CCPers. Maybe I’ll be able to catch up with some CSM6 members or some CSM7 candidates and either thank them or commiserate with them. It’d be also be great to raise a glass with some Tech4 contributors; I know Drackarn is going (and we’ve got stuff to discuss) and also Myrhial Arkenath. I hope to see you there. Are there any others? If you’re reading this and you’re in Iceland, lets go for a drink or ten, starting with the TweetFleetMeet at the Celtic Cross. After all, when at the Althing do as the Vikings do.